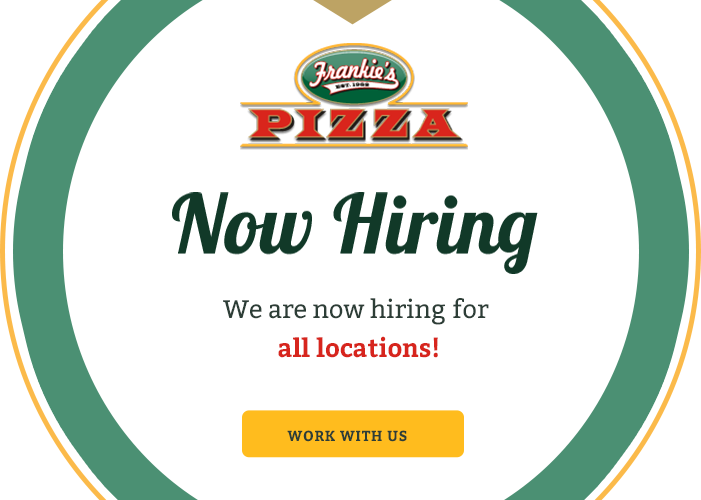 The following promotions are available at all 6 Frankie's Pizza locations. 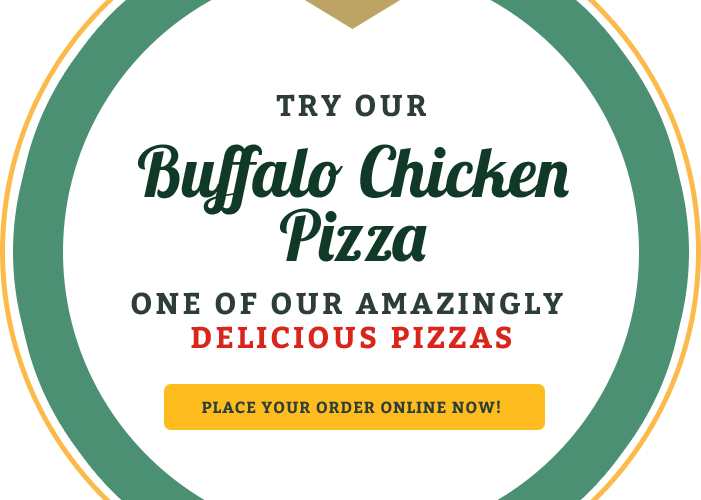 In order to redeem these promotions online, please be prepared to enter the coupon code when reviewing your order. 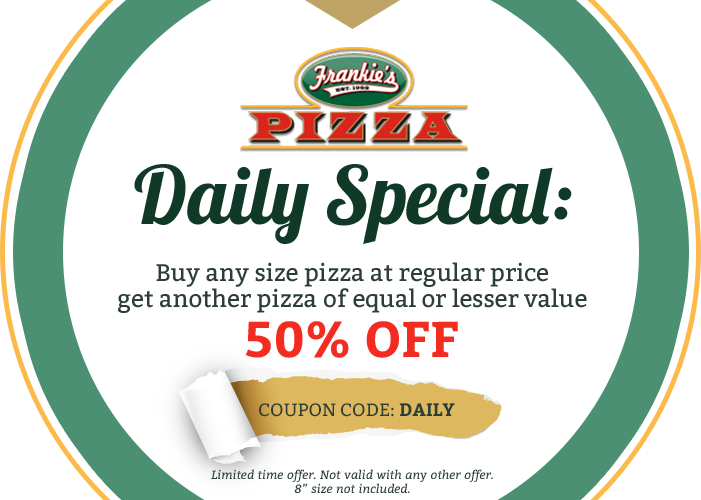 Buy any size pizza at regular price, get another pizza of equal or lesser value 50% OFF. When you order any 12" - 18" pizza, add an order of Breadstyx and get them FREE. 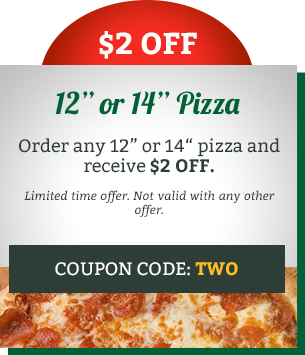 Order any 12" or 14" pizza and receive $2 OFF. 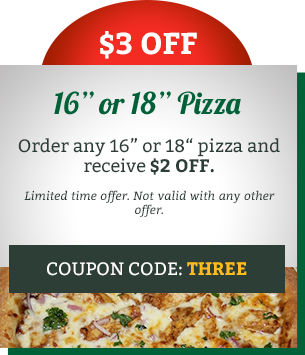 Order any 16" or 18" pizza and receive 3$ OFF. 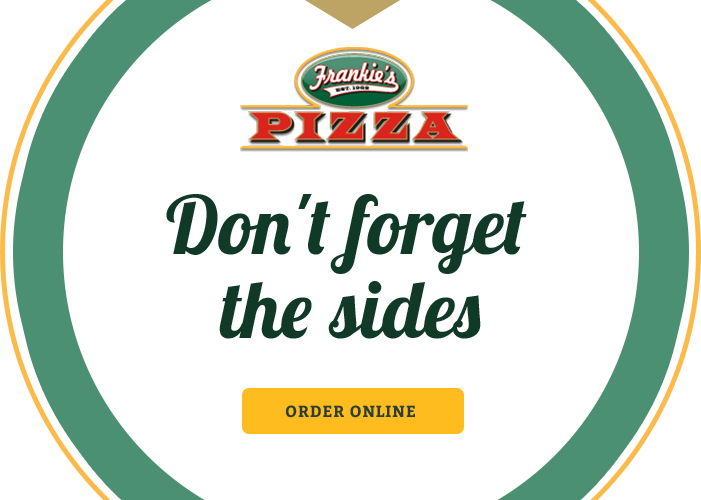 Frankie's has been creating and delivering custommade pizzas since 1988. Check if you are in our service area. 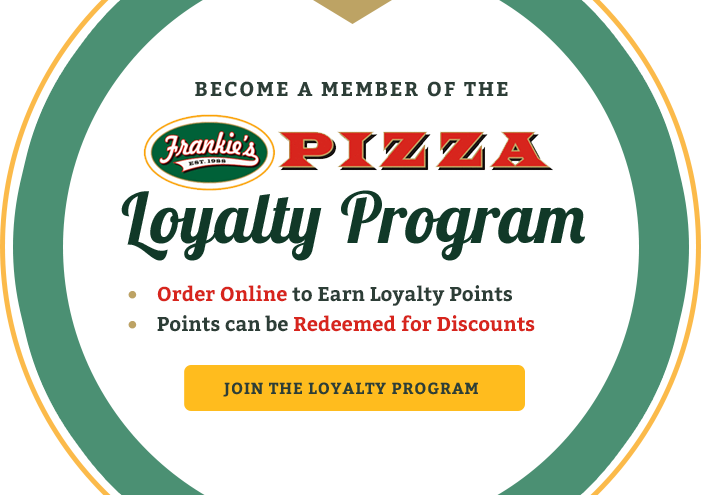 Get exclusive loyalty program specials and earn redeemable loyalty points.